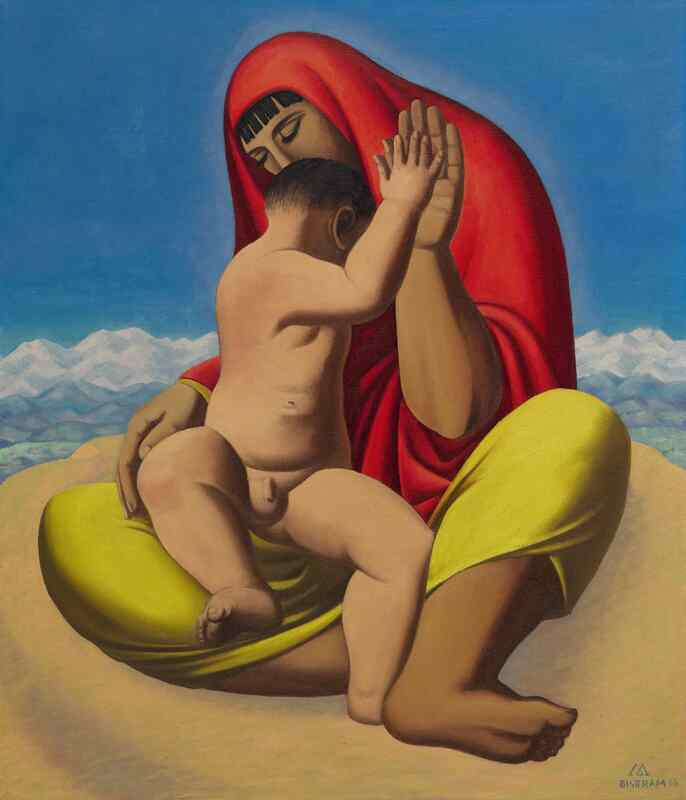 Gorgeous modernist painting by Emil Bisttram entitled ''Madonna of the Pueblo, Taos'', referencing the city that inspired Bisttram's work. Oil on canvas is signed and dated at lower right ''[artist's symbol] Bisttram 68''. Measures 36'' x 42''. Unlined canvas with no restoration. Very good condition.